There’s a pleasantness to Gabriel Mascaro’s Neon Bull that’s surprising, given its aggressive environment. Mascaro focuses his film on workers for the Vaquejadas, a rodeo where two cowboys have to grab a bull by the tail and drag it to the ground. 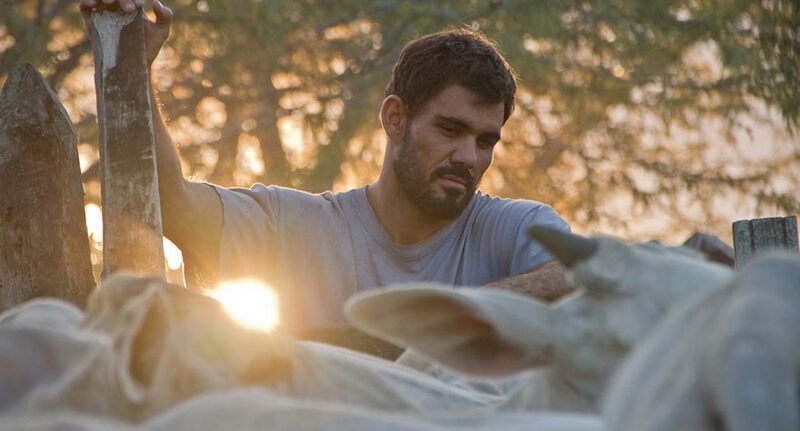 But instead of profiling one of the cowboys, Mascaro looks at a small family-like unit of workers behind the scenes: cowhands Iremar (Juliano Cazarre) and Ze (Carlos Pessoa), truck driver Galega (Maeve Jinkings) and her daughter Caca (Aline Santana). With little to no narrative, Neon Bull prefers to establish a beguiling and gently subversive tone through its unique characters. Iremar, Galega and new cowhand Junior (Vinicius de Oliveira) provide the film’s subversive elements through either their own traits or their relationships with other characters (which, given the way Mascaro merely presents these elements as they are, makes them more fascinating than provocative). Iremar has a passion for designing clothes, using Galega as his model; Galega spends her nights performing exotic dances wearing hooves and a horse head; and the feminine-looking Junior (due to his long mane of hair) starts up a relationship with Galega that suggests underlying tension between Iremar and Galega. It may be difficult to parse out exactly what Mascaro wants to say with his film (and I wouldn’t be surprised if some of his ideas might have been lost in translation), but with director of photography Diego Garcia (who also lensed TIFF highlight Cemetery of Splendour) he creates a truly unique mood helped by unforgettable images: naked men showering together in a barn, Galega dancing in her horse costume under red lights, and Iremar rummaging through trash to look for mannequin parts. It’s a mood that combines the real, the surreal, and the banal, and merges them together to make a film that continues to inspire curiosity long after the credits roll. 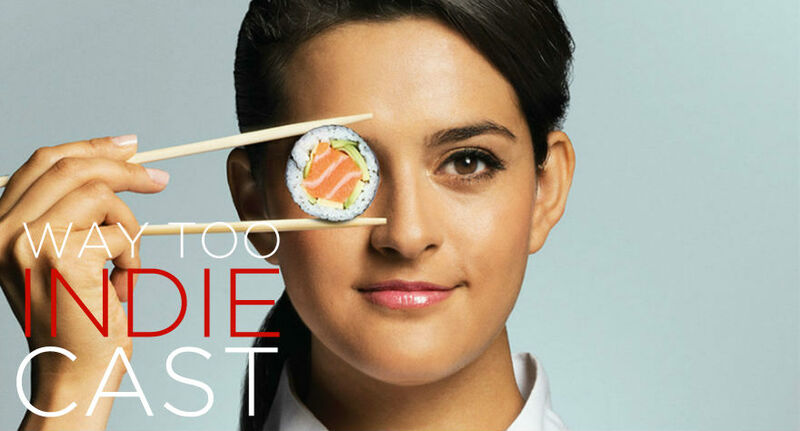 It's a short-but-sweet episode this week as Bernard chats with filmmaker Anthony Lucero about his indie crowd-pleaser, East Side Sushi.